This is the history book of the termite wars in Australia. There hasn’t been a book like it and there probably never will again. Captain Arthur Phillip led 11 ships with soldiers and convicts from England to Sydney Cove to set up a new British colony on the great south land. Other colonies were already there: colonies of termites. The aboriginal people didn’t war with termites because their mia-mias and gunyahs were usually light tree branches; hardly of interest to Coptos and the other termites. But the white people were much more than indignant when termites ate their slab walls, flooring timbers, etc. 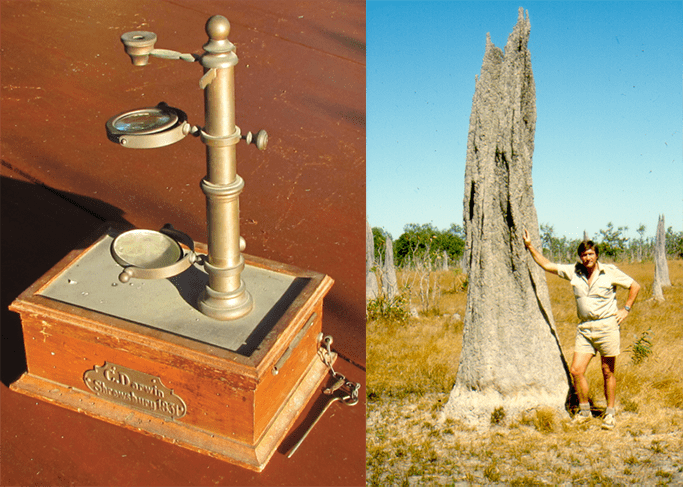 The termites had the upper, and lower, hand for the first 127 years of the colony. In 1915, William Flick inflicted (a most appropriate word) the first defeats on termites and the termite service industry germinated. 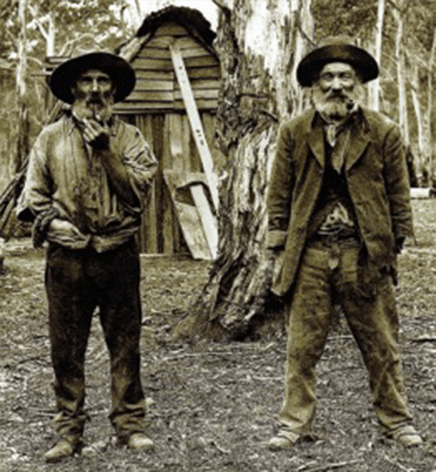 The story traces almost forgotten names: Barney Houghton who became the industry’s first millionaire and his company which was eventually bought by Rentokil; the nine Smith brothers who moved from Tasmania where they’d never seen a termite, into Victoria, SA and WA. Their sister married a Bonney in NSW. These became household names in pest control from the 1920s to the 1960s. 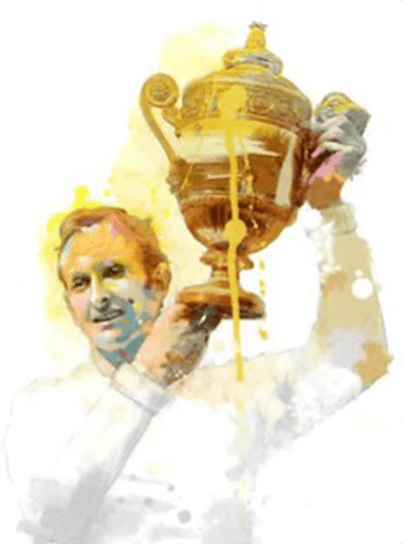 Up in Queensland, Jock Wightman shared an office with Bill Flick because “…Jock wasn’t into termites and Bill wasn’t into cockroaches so the arrangement suited both of them.” Jock was the father-in-law of Darcy McCarron, grandfather of John, Marshall and Andrew McCarron who set up Amalgamated Pest Control. The twist in the tale is that about 90 years later (in 2016) Flick Anticimex bought APC and with that merger, people from both companies share office space again. Termites were such a major problem that Governments became involved in studying them. At first there were no Australian entomologists so Government botanists and zoologists were encouraged to sort out the different species. They also noted differences in feeding and nesting habits and conducted experiments to determine why various treatment methods would or wouldn’t work. This is the type of microscope the early scientists peered through. 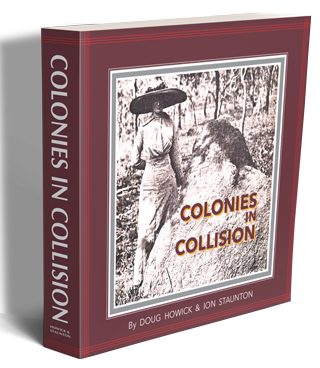 Co-author Doug Howick, then one of those government scientists in the field preparing to push over an Amitermes meridianalis mound near Darwin. 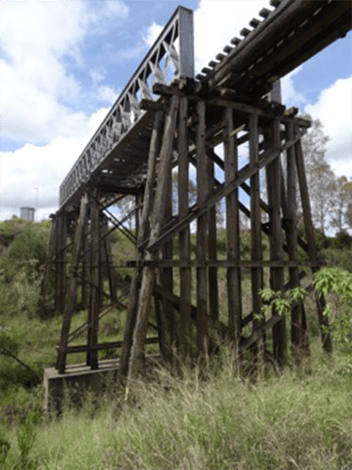 Governments had a stake in termite control because termites were eating their property too, so there’s the story of amalgamated fighting all those termites trying to sabotage railway bridges. (Page 139) Oh! To be a termite. 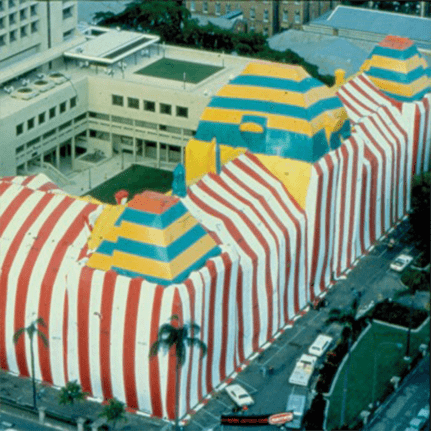 (Page 145) The Queensland Parliament house masquerading as a KFC store in 1979 (Under fumigation by Rentokil). The more recent developers of physical barriers, Termimesh, Granitgard, Kordon, Termiglass, Term-Seal and others followed Lysaught, (the galvanized ant cap people from around 1900) with products of increased technological sophistication. Arsenic dust dominated from 1915 until the 1950s when the organochlorines became the chemical choice for the next few decades. Dusts made a comeback when Bayer’s Intrigue and BASF’s Termidor Dust again put some focus on eliminating colonies rather than relying on an insecticidal barrier. Then came baiting. Dow started it, Exterra and others joined in the quest to affect termite colonies by getting workers to transfer IGRs back home. It is just a variation on Bill Flick’s original strategy really. Some think history is boring but history keeps happening. Thoughts and actions become stories and most people enjoy stories. This is a comprehensive story of humans in the battle to save wood in their structures from termites. Yes, there are facts and dates. Yes, there are short passages of that ho hum stuff but you’ll stay involved as you connect the dots and see how the past has shaped the present. Roland Hovey who wrote the Foreword, says he reluctantly agreed to do it… he certainly didn’t want to read ‘another bloody book on termites’ after his previous 45 years of termite warfare. 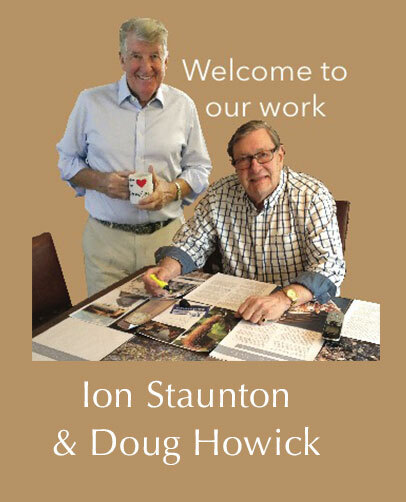 But to write a Foreword, you’re supposed to read the book first. After a few days of procrastination, in the wee small hours of one morning, his wife came out and asked if he was ever coming to bed? He had become so involved in this story that he was taking sides and was even starting to hope the termites would win. 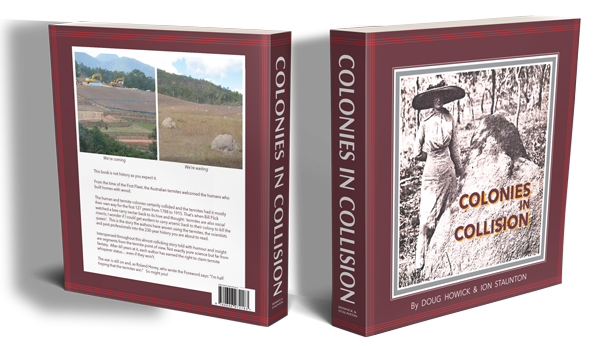 and colonies are still colliding. If a person who lives to climb mountains is a mountaineer and you’ve heard of musketeers, auctioneers, profiteers and engineers, you’ll get the ‘ideer’. You are probably a Termiteer and didnt realise it! Termiteer® is a registered Trademark and the publisher’s name so you can’t promote yourself or change your company name to The Termiteers, etc., but we are happy for you to describe yourself as a termiteer —just as mountaineers use their word. When you read this book you’ll realise you are in highly esteemed company. 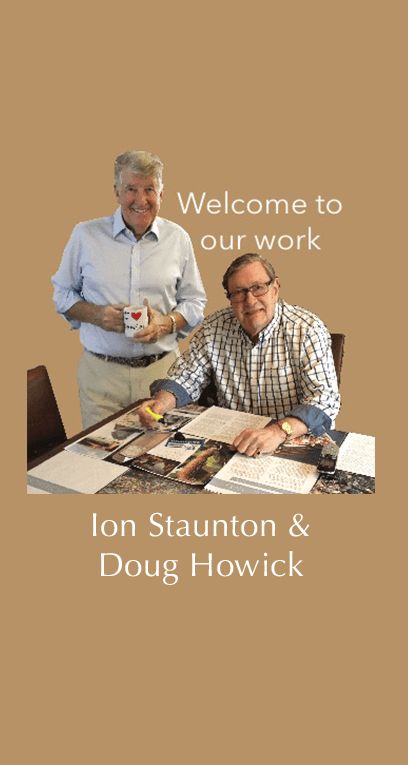 Doug Howick and Ion Staunton are both ex-leaders of the National Association. Having experienced and observed of the transitioning of the termite service industry over the past 60 years, they delved into and researched those earlier days before the records disappeared or no one alive knew where to look. As young men in their twenties, they met, conversed with and knew many of the old-timers who told them stories of the generations before them. Three years in preparation, the stories are now in print, told with accuracy, humor, and insight. One more bonus: there are over 600 scientific termite papers listed in the appendices plus suggestions on how to easily download most of them from the Internet.